Shelby American announced at a press event Thursday that its Mustang GT500 Super Snake will, at last, see production, albeit in a short continuation run of just 10 cars. Though Shelby fantasized over the years about actually putting the Super Snake into production—even preparing dash plaques signed by both Don McCain and Carroll Shelby prior to their respective deaths—it is only doing so now, as a reaction to the still-growing demand for Shelby vehicles. 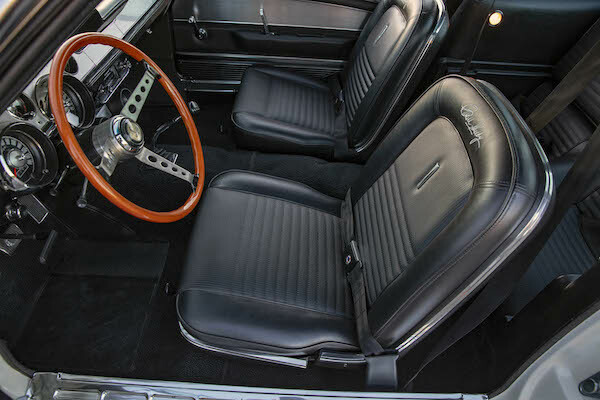 Ten donor Mustangs, all 1967 fastbacks, will be used to build the Super Snakes, all of which will include the signed plaques mentioned above and official Shelby serial numbers. Power will come from a 550 horsepower, 427 cubic inch Carroll Shelby Engine Company big block V-8, in either aluminum or iron block construction, depending on customer spec. A four-speed manual transmission, disc brakes, and the exclusive Super Snake triple stripe complete the package, which will cost customers $249,995. "We’re fulfilling the dream of Carroll Shelby and Don McCain," stated Shelby American president Gary Patterson in the car's press release. The Drive emailed Shelby American to see if the Super Snake has already sold out, but no sales information has yet been disclosed. The pre-Super Snake GT500 had its origins as a response to Ford's own 390 cubic inch (6.4-liter) big block, introduced for the 1967 model year Mustang. Shelby one-upped the 390 with the 355 horsepower, 428 cubic inch engine in the GT500, whose sales instantly eclipsed those of the small block GT350. Shelby elected the GT500 as his steed when tire manufacturer Goodyear asked him for his help to promote a new tire, and around this same time, a former company sales manager, Don McCain, approached Carroll with the suggestion of pumping up the GT500's performance further, an idea which culminated in the GT500 Super Snake prototype. 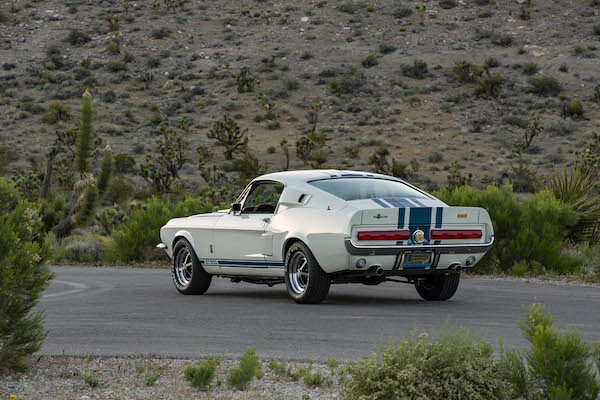 The original Super Snake started out life as any other white, blue-striped 1967 fastback, but by the time Shelby was done with it, the car had a special rear axle, transmission, and most important of all, a 427 cubic inch racing engine, of similar specification to those that powered the Le Mans-dominating GT40. With then-novel aluminum parts such as the water pump, cylinder heads, and a forged crankshaft, the Super Snake threw out over 600 horsepower. It featured modifications to better suit it for the Goodyear tire test for which it was built, including an oil cooler and remote filter. The Super Snake successfully completed the test, averaging 142 miles per hour over 500 miles, and smashing 170 in a pre-test demo with Carroll at the wheel. Despite its then-record top speed for a car of its kind, customer interest in the Super Snake was nonexistent; it would have cost more than double what a normal GT500 did. Thus, the Super Snake never was produced, though the prototype car did change hands several times over the decades, most recently for $1.3 million at Mecum Auctions in 2013. No, we don't know if he was driving a Ford.